Natural materials, clean lines, and a distinctive look: these are the new Vinoble Cosmetics products. Our packaging made of glass and wood is not only beautiful to look at, it is also environmentally friendly. In addition to our new minimalistic product design, the fine textures, and delicate scents provide you with small moments of luxury with every application. Simply sustainable: without plastic tubes and outer packaging. From now on the Vinoble products have an all-natural look and feel. Our new jars and bottles are made of glass and come with wooden lids. Embossed on the lids, you will find the Vinoble grape, whose active ingredients give our products its natural power. Dark green glass protects the precious content from UV radiation. For a luxurious feel, the product labels are made of high-quality fabric. The product descriptions as well as the ingredient list are neatly tucked away in a label attached at the bottom. 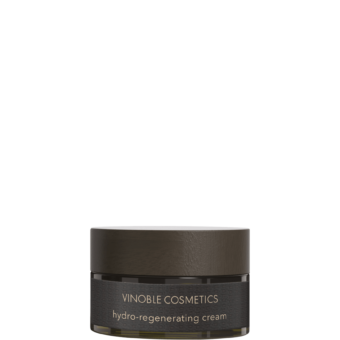 By not using any plastic tubes or outer packaging whatsoever, Vinoble Cosmetics sets new standards for sustainability within the beauty industry. In order to keep the ecological foot print as small as possible, all packaging materials come from European suppliers. What is true for the packaging, also holds true for the contents. 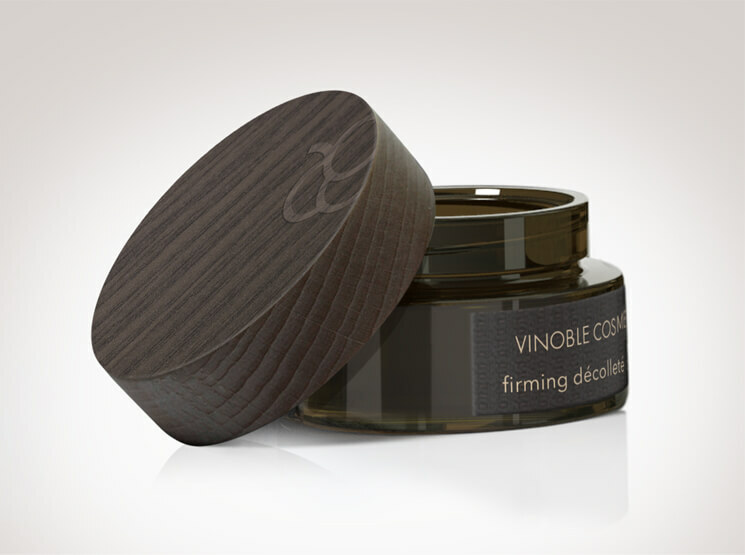 Vinoble Cosmetics are quite simply nature in a jar. You can see it at first glance in our naturally colored formulations, whose colors range from subtle apricot to darker shades of brown. 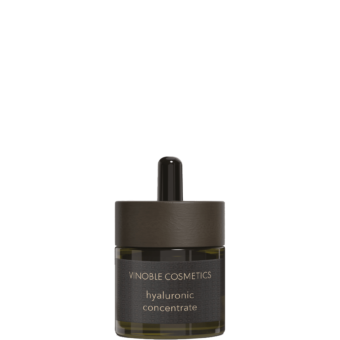 Responsible for the unique colors of the products are the highly concentrated antioxidants from grapes, which help to protect your skin cells against premature aging. All our products are now registered with the Vegan Society. The Vegan Trademark guarantees that our products do not contain any animal-derived substances and are not tested on animals. 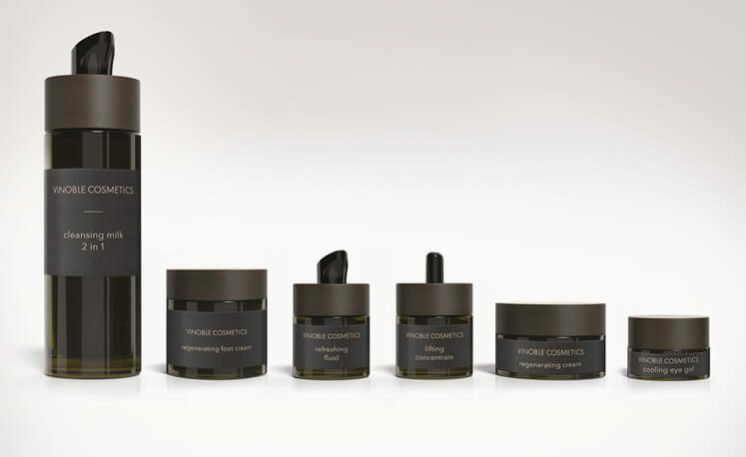 Vinoble products combine natural ingredients, minimalism, sustainability and efficacy. This is our promise, to your skin and the environment. Did you know that Vinoble products are available in spas and beauty salons in 14 countries worldwide? That is why we have decided to give them English product names that everyone will understand. The new names are intuitive and make it easier for you to find the matching products for you skin type. 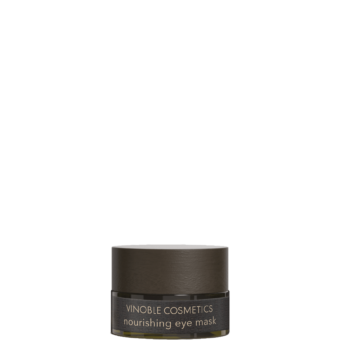 Most product names are made up of the product’s effect and the product category, as you can see in this example: cooling eye gel. The remaining products carry common names, like our fruit acid peel. Shop for new products now!